First light using a new wider bandwidth UV filter from Astrodon with my 10" Mak. What would Venus look like in color if our eyes could see in UV? 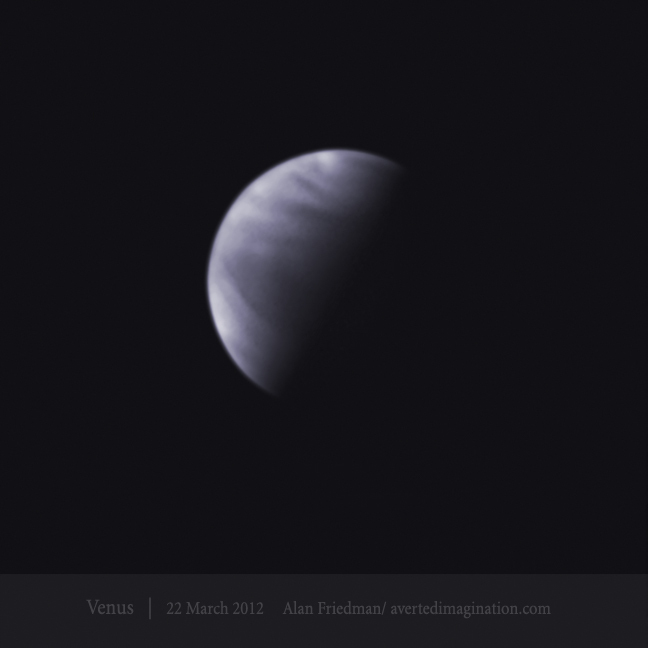 Additional Venus images here. 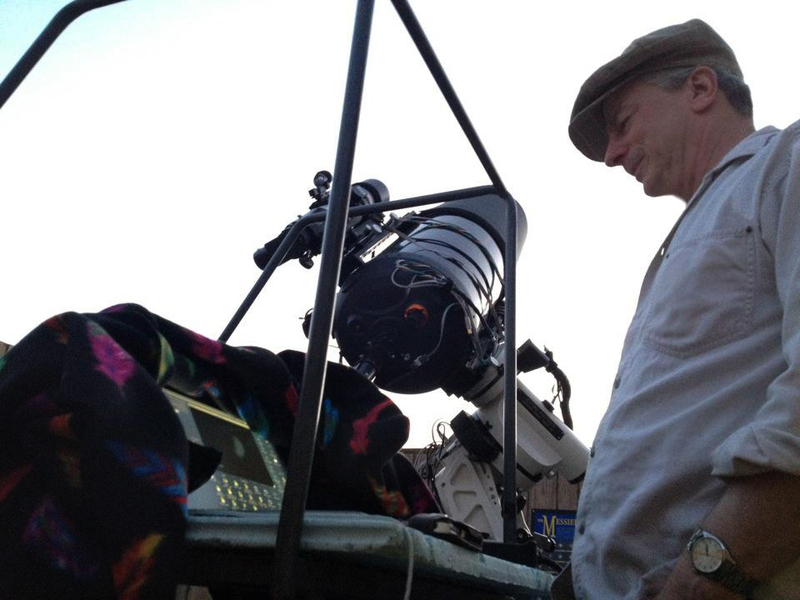 My buddy Mike Anzalone, took this picture of me imaging Venus at BMO. March 22, 2012/ Astro-Physics 10" mak/cass, Astrodon UVenus filter, Point Grey Research Flea3 camera.